Turning your back to Robert College, you can walk right. That road will take you to Ortaköy in 20 minutes. While you face the sea, having your back turned to Robert College, if you walk to the left you will arrive to Bebek in 15 minutes. To get to Taksim using the busses, you can take the 40, 40T and 42T busses from the Arnavutköy station. The Arnavutköy sation is right next to the Arnavutköy gate of Robert College. Below are links to the Istanbul public transportation websites and links for directions for reaching major touristic sites via public transportation. 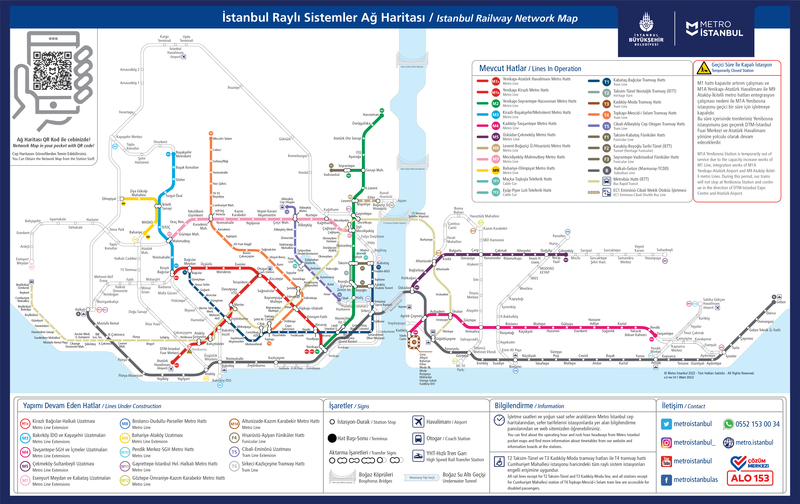 This link will lead you to the map of the Istanbul railway network, including tram and subway lines. For participants staying at Bilek Hotel, the Levent metro station is just besides the hotel, and for the participant’s staying at Uygulama Hoteli, Levent metro station is within 10 minutes of walking distance. This link is for the ferry timetables. You can use to Beşiktaş-Kadiköy ferry, which departs from Beşiktaş every half an hour. From Kadıköy, you can go to Bağdat Caddesi which has many department stores. This link is for the app “Trafi”. Using this link you can download Trafi for your IOS or Android device. The app enables to view various public transportation options for traveling within Istanbul. You can enter any location within Istanbul in the search bar. There are many other options such as viewing public transportation for a specific location at a specific time.